Grossman Chiropractic & Physical Therapy opened its doors in South Brunswick in 2006. For the next decade, the practice provided patients the highest quality chiropractic care. In 2016, Dr. Grossman and his staff expanded the practice to its current location in order to bring you multi-disciplinary care for even better results. 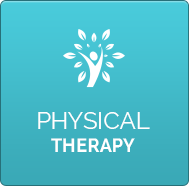 The added option of complementary physical therapy services will help you speed your recovery and have you feeling better than ever! From start to finish, Dr. Grossman and the staff at Grossman Chiropractic & Physical Therapy will guide you through your care so that you will better understand how each action furthers your healing. You will always know what is going to take place and why it’s necessary before receiving any treatment. We believe that educating our patients and involving them in their care is the most important part of the process. Each patient is unique, and patient care should be individualized to meet the needs of a particular patient. We don’t take a cookie cutter approach, prescribing one particular treatment plan for all of our patients. Your care will be customized for you and your specific needs, based on your condition. Through a combination of rehab, adjustments, and other modalities, we get patients back to living full, active lives. 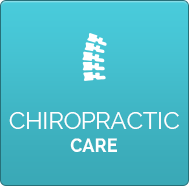 Have you ever wondered whether chiropractic care is right for you? Whether you are currently experiencing pain or simply want to experience the wellness benefits provided by routine chiropractic care, Dr. Grossman and his staff will develop a plan tailored to your needs. Our patients range from young children to the elderly and everyone in-between. We often joke that we can work with anyone but a jellyfish – if you have a spine, we can help you! 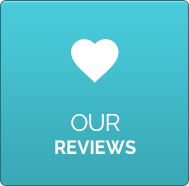 Because we love what we do, interacting with our patients makes our jobs rewarding. At Grossman Chiropractic & Physical Therapy, it’s the day-to-day transformations that keep us going. When you visit our practice, you’re treated like family. We enjoy getting to know each of our patients and watching them get back to doing what they love. We’d love to get to know you, too! We invite you to visit our office to experience how our patient-centered, multi-disciplinary care can have you experiencing the best health of your life. Contact our office to schedule your first appointment.